Since 2000, HomeCare Remodeling has been the go-to provider of remodeling and general contracting services throughout Plover, WI. From decking to roofing, basement remodeling to bathroom renovations, we believe in delivering superior finished results. If our customers aren’t happy, we’re not happy! Contact us today to get started on a quality home upgrade or remodel. When the time comes for you to renovate your living space or invest in a home improvement in Plover, WI, make sure you’re calling HomeCare Remodeling. With years of professional and experience and a huge portfolio of completed projects, we’re ready to deliver a quality upgrade to your home. Whether it’s modernizing your kitchen, finishing your basement or installing a new roof above your head, you can rest assured in top-notch results from us. We believe in completing a project with the utmost care and quality of work, and we ensure that a job is complete only after our client is completely happy. With experience on projects indoors and out, you can trust us to be more than just another general contractor. Instead, we’re expert roofers, remodelers, builders and siding contractors in Plover, WI—all rolled into one! And, because we do every job right the first time, you won’t have to worry about searching for other contractors to lend support to a job. We handle everything—making us completely accountable for the work we provide. This means peace of mind for you, the homeowner, and a bar that’s set high for quality on the part of us, the contractor. Contact us today and see why our previous clients continue to call us and recommend us to their friends when it comes to home upgrades and remodeling! We’re a licensed general contractor in the State of Wisconsin. Our services extend to both residential and commercial customers. We serve all of Plover, WI and the surrounding 30-mile area cities and towns. We promise only top-quality work and guarantee an exceptional finished product. We’ve been remodeling since 2000, with years of experience that go back even further. 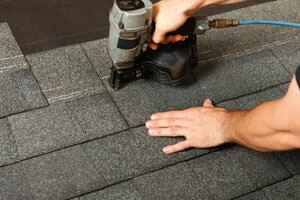 Whether you need a new roof or you’re finishing your basement, HomeCare Remodeling is here to ensure a job well done. Contact us today to start planning and budgeting your next upgrade. "Patrick remodeled my main bathroom, and it is just beautiful. He is very thorough, and does things done correctly vs. "Just getting it done"..."
November 18, 2017 Michael B. "I hired Patrick for a challenging project of relocating a refrigerator water line from one side of my basement to the other. He was knowledg..."
October 7, 2017 Karla L.
"Patrick did an excellent job finishing the lower level of our home. The craftsmanship and attention to detail made the whole space inviting ..."
May 11, 2017 Nancy & Tom T.
"Thank you, Patrick, for a job well done and a beautiful deck." May 4, 2017 Mary Ann B. "Patrick did two sizeable remodeling projects for me. I could not have been more pleased with the results. I sincerely hope that he is availa..."